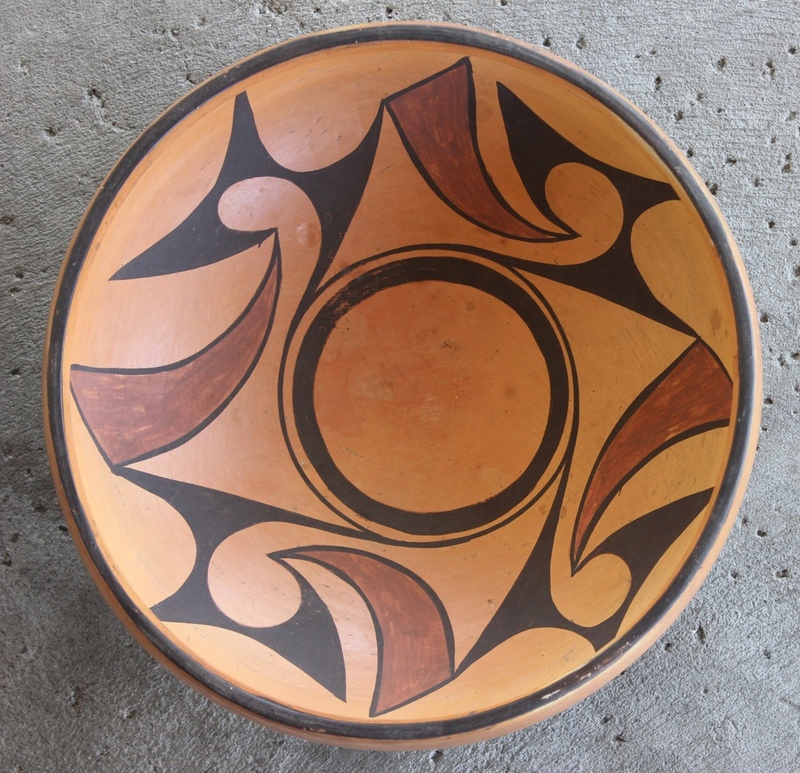 Above left: James Nampeyo Garcia, son of Leah Nampeyo, grandson of Fannie Nampeyo made this piece. 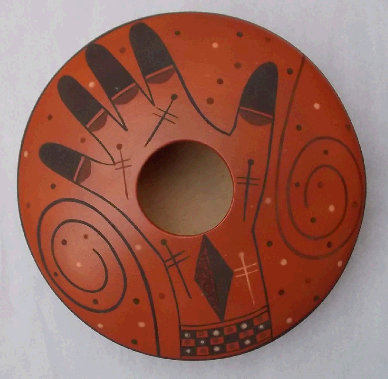 He learned pottery-making from his grandmother and dedicated himself to working with her design traditions. 10.5 by 2.5 inches. $800. Born in 1958, James is a member of the Corn Clan from First Mesa. His parents were Leah Polacca of Hopi and Lewis Garcia of Laguna Pueblo. 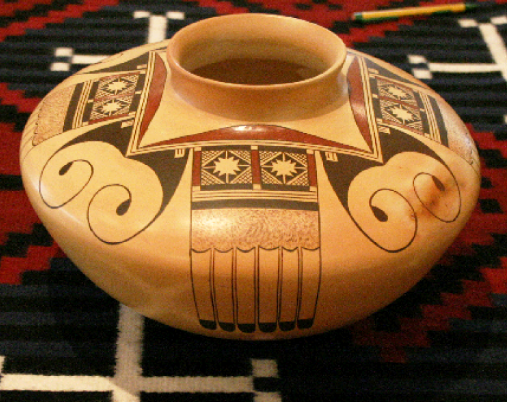 He learned how to work clay from his mother and his grandmother, Fannie Nampeyo. 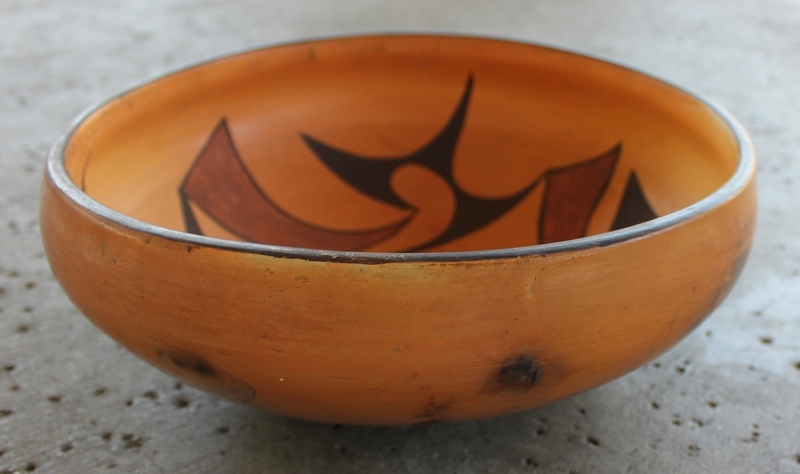 While he formed a few small pots starting around age 5 or 6, it was not until his early twenties that he began making and painting his own work.